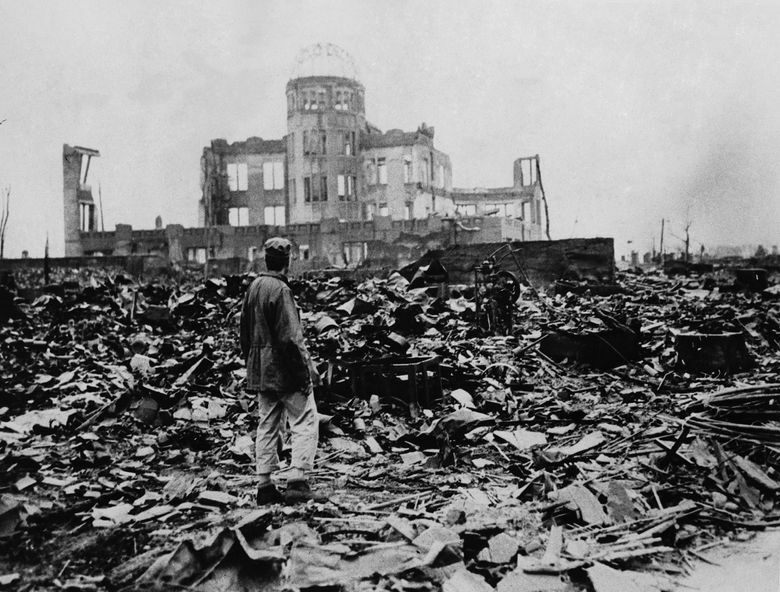 When the bomber, Bockscar, released Fat Man over Nagasaki on Aug. 9, 1945, over 70,000 people died. Nagasaki's devastation came three days after the dropping of Little Boy over Hiroshima on Aug. 6, which killed 150,000 people. I grew up in the dust and wind, a child of the Bomb. One of the country’s three atomic cities, my hometown of Richland was the bedroom community for Hanford, which produced the plutonium for the Fat Man bomb dropped on Nagasaki and, over four decades, the plutonium for nearly two-thirds of the U.S. nuclear arsenal. Evenings, my family took drives through tumbleweed-studded roads, winding through hills, past the barbed wire fences and gates barring the world from the Hanford nuclear reservation. Often, we stopped at the Columbia River, skipping stones from the banks, plumbing the depths that at that time received cooling waters from some of the operating reactors. When the bomber, Bockscar, released Fat Man over Nagasaki on Aug. 9, 1945, more than 70,000 people died. Nagasaki’s devastation came three days after the dropping of Little Boy over Hiroshima, which killed 150,000 people. Both bombs targeted civilian populations, with survivors suffering burn injuries, cancers and other illnesses, and infants born with deformities. The world seems ever more changed today. The 45th president has pondered why nuclear weapons can’t be used, and toys with nuclear talks for a photo opportunity with a dictator, while North Korea builds new missiles. The U.S. plans to sink $1.2 trillion into upgrading the nuclear weapons arsenal, rather than disarming and funding programs to help our citizens and country — housing, education, jobs and health care. Now I live across the mountains from Hanford, a massive cleanup operation at a site with the infamous distinction of being the most contaminated in the western hemisphere. A Seattle resident, I also live near the Bangor Naval Base, home to Trident submarines, a powerhouse nuclear weapons system with vastly greater explosive yield than the bombs that wreaked death and fire over Hiroshima and Nagasaki. Visiting Richland, I watch herons glide above the Columbia that runs alongside the town, past the Hanford Site where reactors once stood. Hanford’s past follows me, an atomic shadow that can’t be shaken. The shadows of the dead, burnished into stone steps and walkways, reveal a history we must never repeat. In Seattle, starting at 6 p.m., Monday, I will gather with others at Green Lake near the Bathhouse Theater on the 73rd anniversary bombing of Hiroshima. 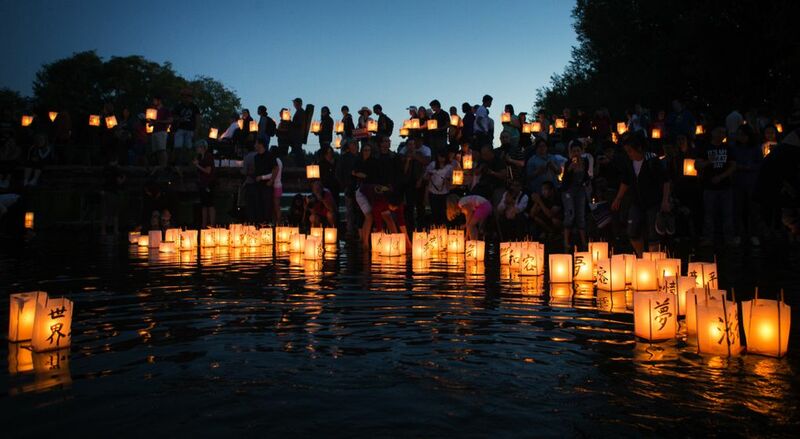 At the event, From Hiroshima to Hope, 1,000 candlelit lanterns float across the lake at dusk, carrying hopes for peace, for understanding that nuclear weapons must never again be used. Nancy Dickeman is the literary curator for an exhibit addressing Hanford and nuclear issues, Particles on the Wall, and serves on the planning committee for From Hiroshima to Hope. She lives in Seattle.